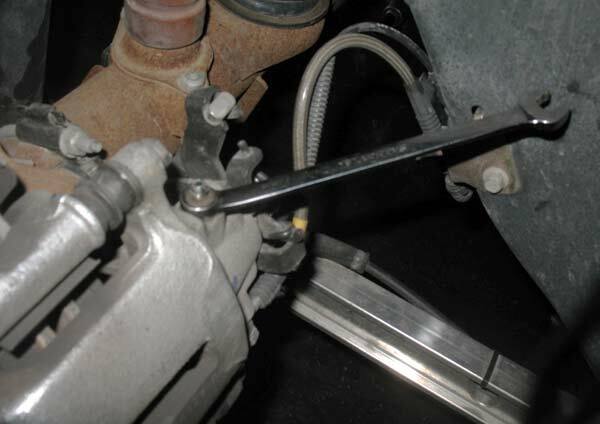 The time will come eventually that you will need to bleed your brake lines. 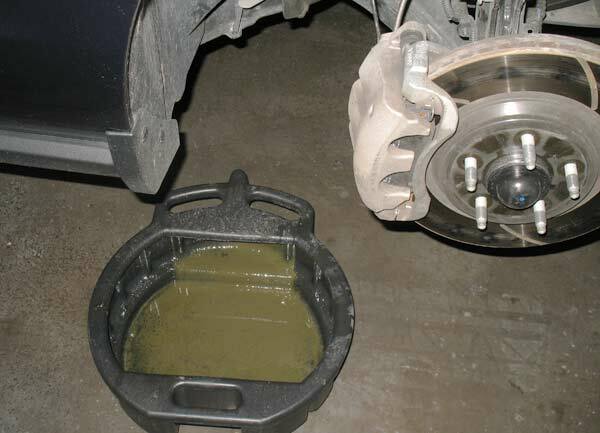 Either from time or hard use the task of bleeding your brakes is not too difficult. You will need a friend and an 11mm wrench.My time has come. I was very hard on the brakes when I was at Hallet. 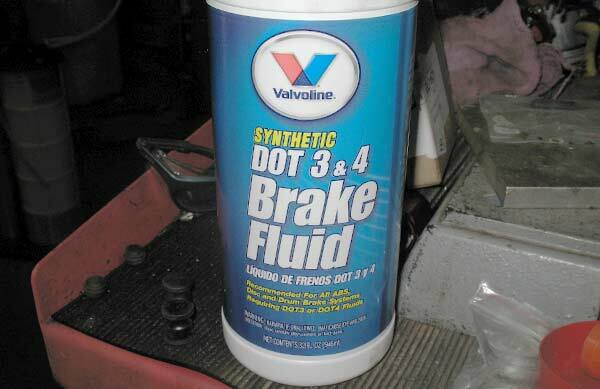 I was using Valvoline synthetic fluid which is good up to 480 degrees. Still I am sure I boiled the brake fluid. My brakes were feeling a bit spongy after making dozens of hard slow downs around the track. If you are lucky enough to be using a lift then you can just lift the car and remove the wheels. Or you can place the car on jack stands.After your remove your wheels then you can get to to business of bleeding your mustangs brakes. Start by removing the rubber caps on the bleeder screw. This is what the rear brake bleeder screw cap looks like. they sit facing the top. 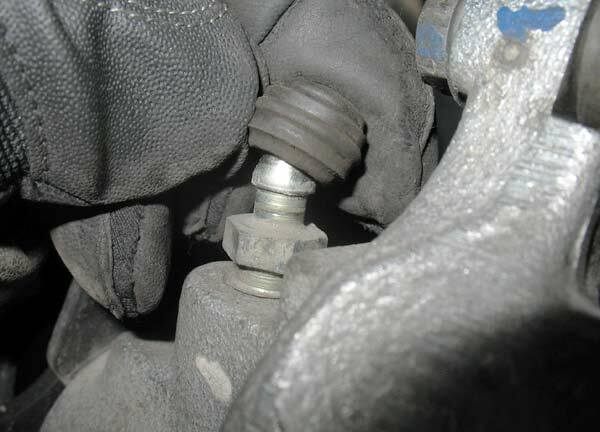 This is what the front brake bleeder screw cap looks like.They sit facing the rear. Then pump out the old fluid in the reservoir. 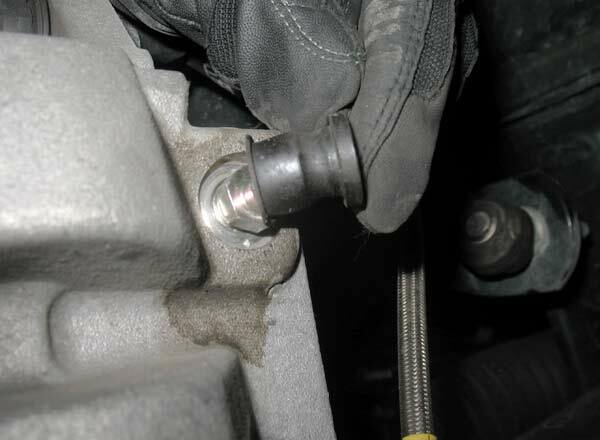 If you don’t do this then you will have to push all of this fluid through the brake lines. Do not pump your brake pedal at this time. After you get all the old fluid fill the reservoir with new fluid. Start with the wheel furthest from the brake reservoir and then move closer. 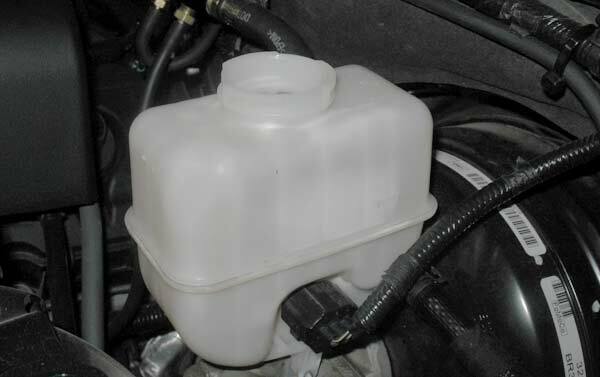 Place a catch pan for the brake fluid that will come squirting out. 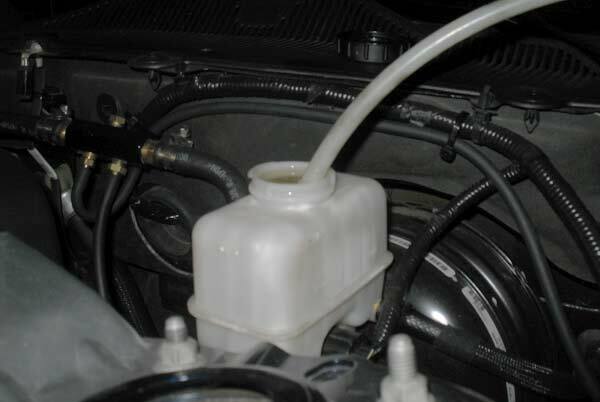 I have also used some rubber hose that runs from the bleeder valve to a bottle to catch the fluid. This is a much cleaner method. Now you are ready for your friend to pump the pedal 4-5 times and hold it and then use your 11mm Wrench and open the bleeder valve for a short period of time. 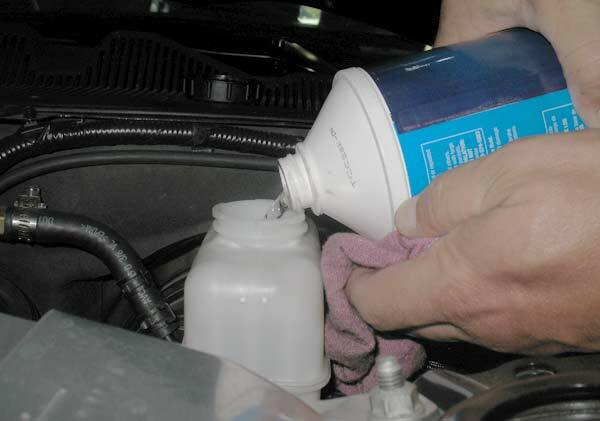 The brake fluid will squirt out quickly at first and then when the fluid starts to slow down then you tighten the bleeder valve back down. Repeat this process 3 or 4 times per wheel. When you are finished with that wheel then be sure to tighten your bleeder down well and place the rubber cap back on.Your done just button it all back up.